Let’s talk about your engine. Not specifically your engine, but generally all modern gasoline engines. The concepts presented here apply to virtually all engines in any modern SUV or truck. The purpose of the engine is to provide power to move your car down the road. In order to do this, it turns gasoline into energy that can be used to move that machine. The gasoline engine has been around for over a century and has made significant progress, especially in the last 10 to 20 years, and has evolved into what we have today. With exhaust emission and air quality regulations imposed on car manufacturers, and the cost of fuel continuing to go up, manufacturers have made great strides making your engine more powerful and efficient. One might be able to argue that without government intervention, this evolution would not have been so rapid, but that’s a discussion for another day. The engine in your car is technically known as an internal combustion, spark ignition, 4-stroke engine. Internal combustion because the combustion event happens inside the cylinders, and 4-stroke because it takes four strokes of the piston to accomplish one “Power” stroke. These four strokes require 2 revolutions of the crankshaft, which the pistons are attached to. A 4-stroke engine can be anything from one single cylinder to a V-8 or V-12 engine. Don’t confuse 4-stroke with 4-cylinder. There’s a good chance both your lawnmower and your car have 4-stroke engines. We’ll talk about number of cylinders later. Intake Stroke: The piston starts at the top of its stroke in the cylinder bore. As the piston travels down it creates negative pressure in the cylinder. The intake valve opens allowing a very carefully metered mixture of fuel and air that fills the cylinder. – -Intake and exhaust valves closed. – -Piston travels up the cylinder bore, creates high pressure and heat. – -Air/fuel mix is compressed, waiting for the ignition source from the spark plug. – -At Top Dead Center (TDC), second stroke completed. Compression Stroke: This starts next when the piston begins its upward travel. The intake and exhaust valves are closed and the piston compresses the trapped air/fuel mixture causing a rapid temperature rise. When the piston is near the top of this cycle, the spark plug is fired. – Intake and exhaust valves closed. – Piston is FORCED down the cylinder bore due to the explosive energy in the air/fuel mixture. – This is the only stroke to contribute power to the vehicle. – At Bottom Dead Center (BDC), third stroke completed. Power: The combination of intense heat combined with spark plug ignition causes a controlled explosion within the cylinder, expanding the gases and forcing the piston down rapidly. How well your engine does this, combined with the size of the cylinder and piston (cylinder volume) determines how much power your engine creates. Exhaust: With all of the available energy extracted from the air/fuel mixture, the piston now starts its way up the cylinder for the fourth stroke. The exhaust valve opens and the spent gases are now forced out of the cylinder and through the exhaust system of the vehicle. Once finished, the very next stroke, or down-travel, of the piston is the succeeding intake stroke. Turning it Into Power: As the pistons do their thing, harnessing this converted power is the job of the crankshaft. Each piston is attached to the crankshaft using a connecting rod to turn the reciprocating (up and down) motion of the piston into rotary motion (‘round and ‘round) of the crankshaft and ultimately the flywheel where the transmission is attached. Aren’t they the same thing? Simply put, no. But they do accomplish the same thing, that is open the valves to let both the air/fuel mixture in and the spent gases out of the cylinder. More than describing the location of the valve, this tells a knowledgeable person the location of the camshaft. Confusing? Well, it really means that ONLY the valves are located in, or ‘over’ the ‘head’ of the engine. The head is the part that goes on top of the piston and combustion chamber. In an OHV arrangement, the valves are above the piston and driven by pushrods and lifters. The camshaft drives the lifters, which are both located in the engine block. The camshaft and crankshaft are connected together using a chain and gears. For every two revolutions of the crankshaft, the camshaft turns one time. In other words, the gear on the camshaft is exactly twice as big as the gear on the crankshaft. 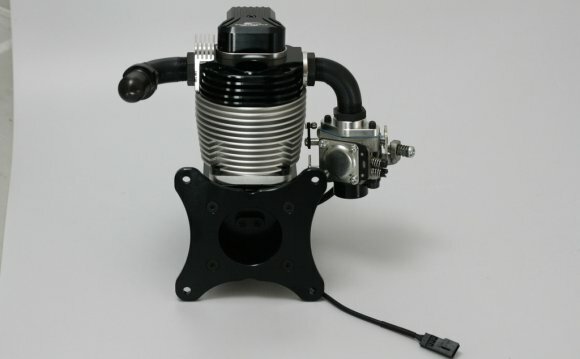 In this type of engine, not only are the valves located in the head, the cam is also there, and the valves are driven directly off of the cam. The cam is still connected to the crankshaft in a 2:1 ratio, but this time the belt or chain attaches to the end of the cam all the way on top of the engine. It’s common to have either one or two camshafts to drive the valves in and overhead arrangement. This is called SOHC (Single OverHead Cam) and DOHC (Double OverHead Cam). If the engine is an in-line arrangement such as a four cylinder, there are one (SOHC) or two (DOHC) cams. If the engine is a V arrangement (V6, V8, V12), there are one or two cams per bank. Which is better? There are plenty of people in both camps to argue the efficiencies and attributes of either. Both OHV and OHC are used commonly today, but the trend is definitely shifting towards the use of OHC due to its adaptability and capability to meet fuel economy and emissions demands set by auto manufacturers.